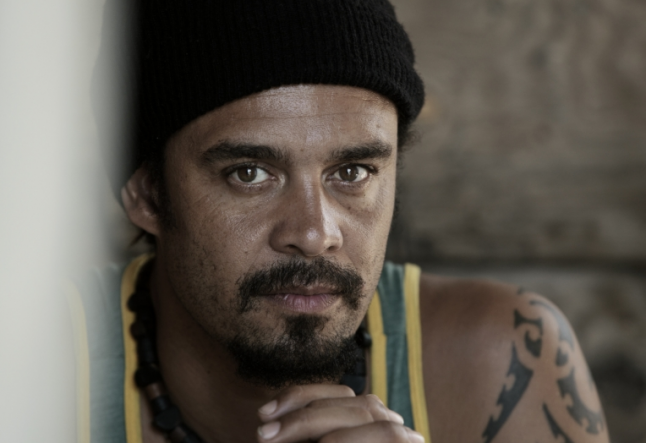 Michael Franti is a visionary musician, peace activist, yogi and father. His albums include Everyone Deserves Music, Stay Human, Home and Chocolate Supa Highway (with his band Spearhead), and Hypocrisy Is The Greatest Luxury (as Disposable Heroes of Hiphoprisy). In nearly two decades of music-making, Franti has grown from a “black-booted voice of youthful rage” into a “barefoot clarion for social justice.” His powerfully poetic and affirming lyrics are set to music that draws from rock, world-wise groove, reggae, dancehall, bossa nova, Afrobeat and funk. Franti founded the annual Power to the Peaceful Festival and has also made a documentary film about his travels in Iraq, Israel and Palestine, I Know I’m Not Alone. We caught up with Michael over the phone and capture his latest thoughts on yoga, music and life. YOGITIMES: What initially drew you to yoga? Michael Franti: Years ago, I heard from various people that yoga would help take care of my body and give me a spiritual center. Naturally, I ignored their advice. Eventually, I went to a class in “hot yoga” and threw my back out--right before a spoken word tour, when I really needed to be fully in my body. I tried every possible treatment and nothing worked. The sciatic pain continued. A couple of years later, I was with a friend in Colorado and I noticed that something about her had really changed--a different light she was carrying--and she said she had been practicing yoga. I got together a whole diverse group of people from my tour and we all practiced together. I felt great afterwards and I just kept practicing, day after day. Later I invited yoga teachers to travel on tour with me and we kept practicing together and going deeper. YT: What changes have you seen from your practice? Michael Franti: Yoga opened me up to something different. When spirit was invited into the practice, it became a different thing. I found myself letting go of resistance. I was so stiff and I had said: I can’t do yoga because I can’t get into lotus. I thought that’s what yoga was all about – to get into lotus and sit in meditation. But I realized that there isn’t a goal in yoga. It’s a practice; it’s a journey. YT: How does your practice support you in who you are and what you do in the world? Michael Franti: I encounter so many people every day. I visit prisons, speak at schools, talk to activists and then do the show. At the end of the night I’m often really drained. Practicing yoga restores me with energy and loving light so I can go to bed or wake up. I can clear myself and create stillness. Yoga supports me physically. Being on tour is really rough. In the morning, I gently come to the mat and start moving through sun salutations and get my blood going. And pretty soon I feel like I’m ready now; I can do anything. More importantly, it supports me with the philosophy of compassion. I always had this, but yoga gives me a language to talk about it with other people. And anywhere I go, when I’m on the road, I can drop into a yoga class and find the perfect reminder I need. Over time, I’m starting to let go of old ideas I have, like the sense that I didn’t do enough today. I can look at that critical voice with the smile of humor and let it go. And then I’m treating others this way, too. I was able to go to Iraq and witness war and great suffering. I try to be present for people and present with the suffering. Yoga has helped me to get in touch with parts of my body and my life where I need to grieve, especially in hips, where I was holding a lot of grief--so tight. In my yoga practice, I let that grief out and feel peace. YT: In your music, anger and peacefulness blend so naturally. As yogis, as people who care deeply about humanity and the living planet, how do we balance outrage and serenity? Michael Franti: I was in a yoga class the day before the United States began bombing Iraq. I also watched on CNN as the government gave this sales pitch for the bombing. When I got on my mat, I wondered what would it be like if this were happening in San Francisco? What would I tell my kids--my two sons? How do you explain this? I felt tremendous rage. But I also felt incredible sadness. When I closed my eyes, I saw thousands of faces of mothers and fathers with their children that night while the bombings went on overhead. And when I went to Iraq, I heard stories like this--of mothers and fathers covering their children with blankets, trying to protect their children. In yoga class, I dedicate my practice to peace. I have dedicated myself completely to peace, to nonviolence. I ask myself all the time, am I doing everything I can to dedicate myself to the practice of nonviolence? Every event, every show I do. How I live my life. Going to Baghdad, making the film [I Know I’m Not Alone, a documentary about his trip to Iraq, Israel and Palestine]--what can I do with what I have in my hands to bring peace? What we do on our yoga mats is important in all of this. It’s a first step. Still, we have to recognize that our yoga is in our daily lives. It’s for the talk around the water cooler, or when we prepare food for our family, or when we practice sustainability. We create this amazing shakti in our practice on our mats, and that’s the same shakti that we want for everyone in the world. I dedicate myself to really living the principles of compassion, nonviolence and love. At the end of the day, what we leave behind is our words. And were they followed up with actions? YT: Can music reach people in a different way than speeches and facts and the media and other attempts to spread peace? Michael Franti: Music goes right to the heart. It unlocks emotions we never knew existed before. When I just hear the opening chords of a particular Miles Davis song, it can make me cry. Music is magical that way. Like when we practice yoga, we’re honoring spirit. One of the ways we do it is through our voice. Music and yoga coming together is so important. When we go into our bodies and we feel something, changes are happening. In a pose, we go to a deep place and knock on the door and we wait. We might hear music or words. If I wait here a little longer, what might happen? And the journey continues. YT: In your music and your life, you put forth a positive vision that people can embrace and move towards. But sometimes the problems in this world can feel overwhelming. How can each of us make a difference, as just one person? Michael Franti: Each person does make a difference. Each of us can take personal responsibility for ourselves. And that’s what yoga is. You’re there because you invited yourself to be there. You’re not just trying to stretch your hamstring or hold a difficult balance pose. You’re there to get to know more about yourself. The days of mass media and politics are becoming less important than what we do in our communities to create the climate we want to live in. Think about a place like Ashville, North Carolina [the next stop on Michael’s tour]. People there started practicing yoga and practicing sustainability and they kept at it, day after day. And over time the whole community saw the beauty of it. They realized this works and we’re happy because of it. I truly believe that’s how the world will shift – one mat at a time, one yoga studio at a time, one neighborhood, one community. That’s how we make change in this world.